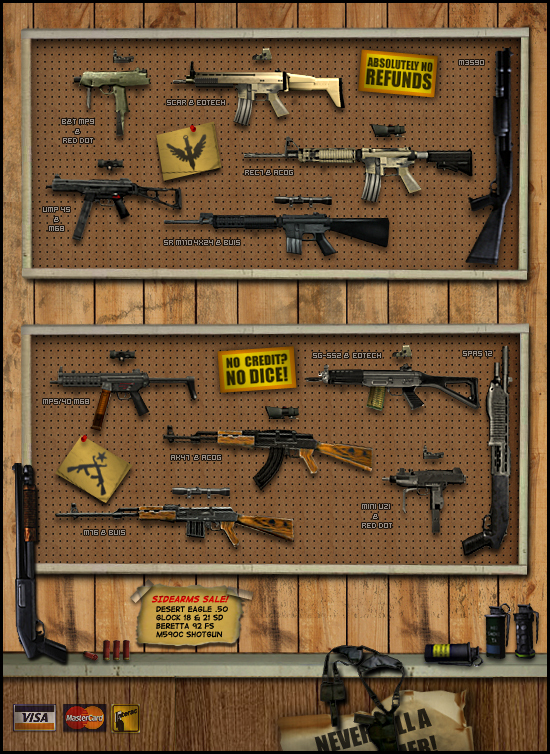 CQB's weapon selection is based on the idea to offer weapons with unique behaviour (caliber, rate of fire, barrel length) and add-ons - rather than a huge arsenal with many functionally similar models. With the add-ons, you can customize your own unique weapon load out. 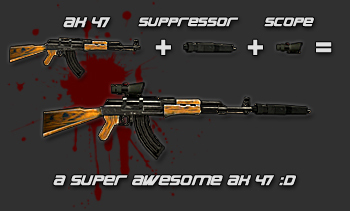 The CQB alpha offers six team dependent choices for the primary weapon (to keep TC(E)s flavor of unique teams) and six common choices for the secondary weapon.